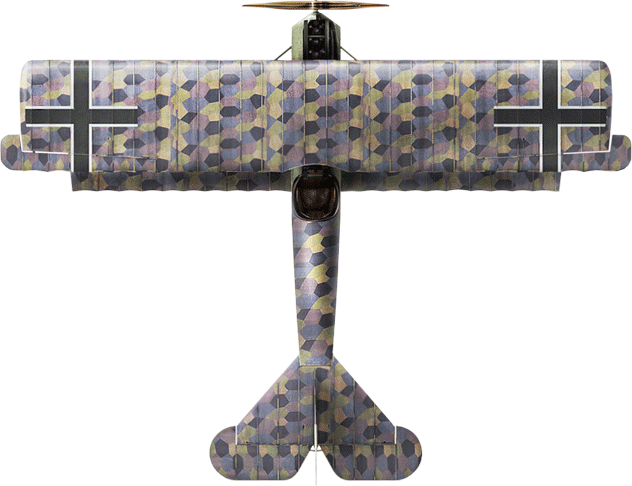 The Fokker D.VII was a German World War I fighter aircraft designed by Reinhold Platz of the Fokker-Flugzeugwerke. Germany produced around 3,300 D.VII aircraft in the summer and autumn of 1918. In service, the D.VII quickly proved itself to be a formidable aircraft. The Armistice ending the war specifically required Germany to surrender all D.VIIs to the Allies at the conclusion of hostilities. 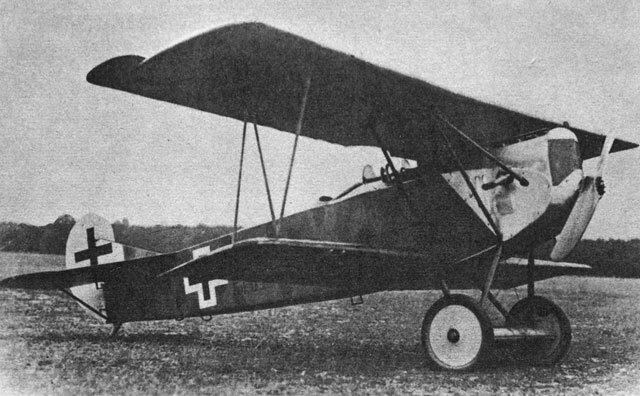 Surviving aircraft saw continued widespread service with many other countries in the years after World War I.
Fokker's chief designer, Reinhold Platz, had been working on a series of experimental planes, the V-series, since 1916. 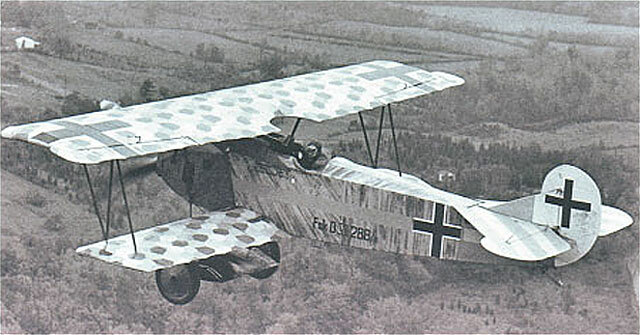 These planes were characterized by the use of cantilever wings, first developed during Fokker's government-mandated collaboration with Hugo Junkers. Junkers had originated the idea in 1915 with the first all-metal aircraft, the Junkers J 1, nicknamed Blechesel ("Sheet Metal Donkey" or "Tin Donkey"). The resulting wings were thick, with a rounded leading edge. This gave greater lift and more docile stalling behavior than conventional thin wings. Late in 1917, Fokker built the experimental V 11 biplane, fitted with the standard Mercedes D.IIIa engine. In January 1918, Idflieg held a fighter competition at Adlershof. For the first time, frontline pilots would directly participate in the evaluation and selection of new fighters. 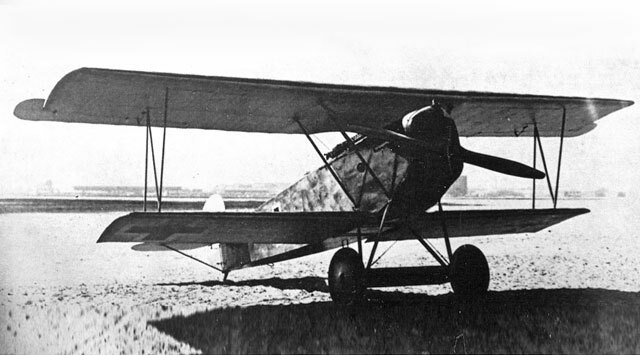 Fokker submitted the V 11 along with several other prototypes. Manfred von Richthofen flew the V 11 and found it tricky, unpleasant, and directionally unstable in a dive. In response to these complaints, Reinhold Platz lengthened the rear fuselage by one structural bay, and added a triangular fixed vertical fin in front of the rudder. 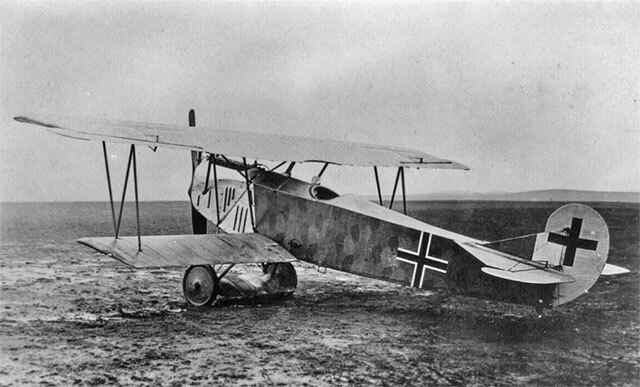 Upon flying the modified V 11, Richthofen praised it as the best aircraft of the competition. It offered excellent performance from the outdated Mercedes engine, yet it was safe and easy to fly. Richthofen's recommendation virtually decided the competition, but he was not alone in recommending it. Fokker immediately received a provisional order for 400 production aircraft, which were designated D.VII by Idflieg. Some parts were not interchangeable between aircraft produced at different factories, even between Albatros and OAW.Additionally each manufacturer tended to differ in nose paint styles. OAW produced examples were delivered with distinctive mauve and green splotches on the cowling. All D.VIIs were produced with the lozenge camouflage covering except for early Fokker-produced D.VIIs, which had a streaked green fuselage. Factory camouflage finishes were often overpainted with colorful paint schemes or insignia for the Jasta, or the individual pilot. By the summer of 1918, a number of D.VIIs received the "overcompressed" 138 kW (185 hp) BMW IIIa, the first product of the BMW firm. 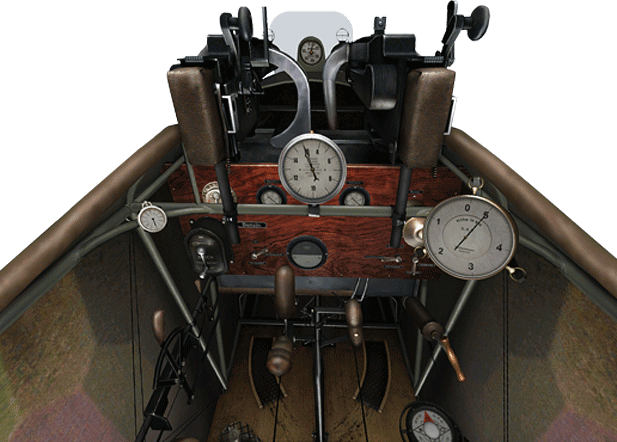 The BMW IIIa followed the SOHC, straight-six configuration of the Mercedes D.III, but incorporated several improvements. Increased displacement, higher compression, and an altitude-adjusting carburetor produced a marked increase in speed and climb rate at high altitude. Because the BMW IIIa was overcompressed, using full throttle at altitudes below 2,000 m (6,700 ft) risked premature detonation in the cylinders and damage to the engine. At low altitudes, full throttle could produce up to 179 kW (240 hp) for a short time. Fokker-built aircraft with the new BMW engine were designated D.VII(F), the suffix "F" standing for Max Friz, the engine's designer. Some Albatros-built aircraft may also have received a separate designation. 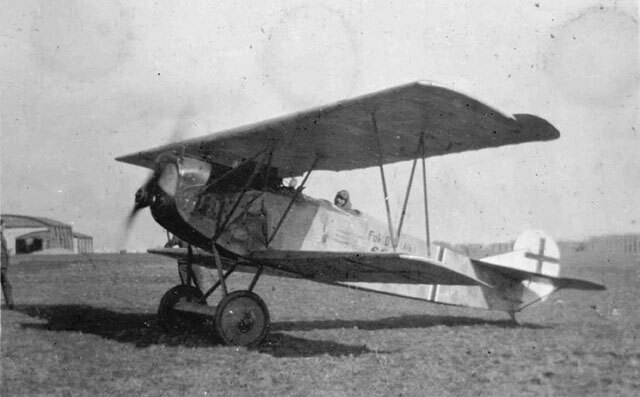 BMW-engined aircraft entered service with Jasta 11 in late June 1918. Pilots clamored for the D.VII(F), of which about 750 were built. However, production of the BMW IIIa was very limited and the D.VII continued to be produced with the 134 kW (180 hp) Mercedes D.IIIa until the end of the war. The D.VII entered squadron service with Jasta 10 in early May 1918. 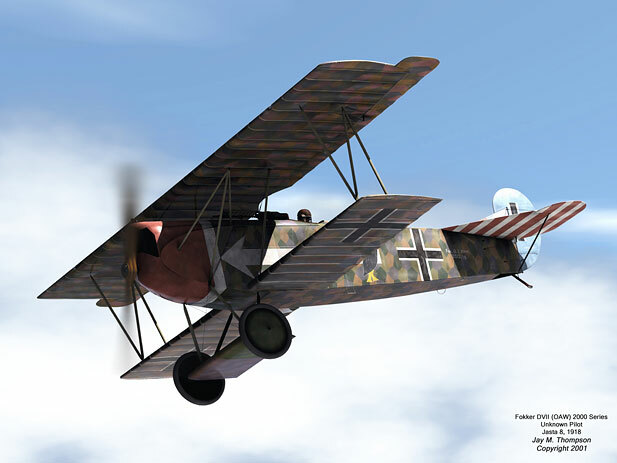 The type quickly proved to have many important advantages over the Albatros and Pfalz scouts. Unlike the Albatros scouts, the D.VII could dive without any fear of structural failure. The D.VII was also noted for its high maneuverability and ability to climb at high angles of attack, its remarkably docile stall, and its reluctance to spin. It could literally "hang on its prop" without stalling for brief periods of time, spraying enemy aircraft from below with machine gun fire. These handling characteristics contrasted with contemporary scouts such as the Camel and SPAD, which stalled sharply and spun vigorously. However, the D.VII also had problems. Several aircraft suffered rib failures and fabric shedding on the upper wing. Heat from the engine sometimes ignited phosphorus ammunition until cooling vents were installed in the engine cowling, and fuel tanks sometimes broke at the seams. Aircraft built by the Fokker factory at Schwerin were noted for their lower standard of workmanship and materials. Nevertheless, the D.VII proved to be a remarkably successful design, leading to the familiar aphorism that it could turn a mediocre pilot into a good one, and a good pilot into an ace. Manfred von Richthofen died only days before the D.VII began to reach the Jagdstaffeln and never flew it in combat. Other pilots, including Erich Löwenhardt and Hermann Göring, quickly racked up victories and generally lauded the design. Aircraft availability was limited at first, but by July there were 407 on charge. Larger numbers became available by August, when D.VIIs achieved 565 victories. The D.VII eventually equipped 46 Jagdstaffeln. 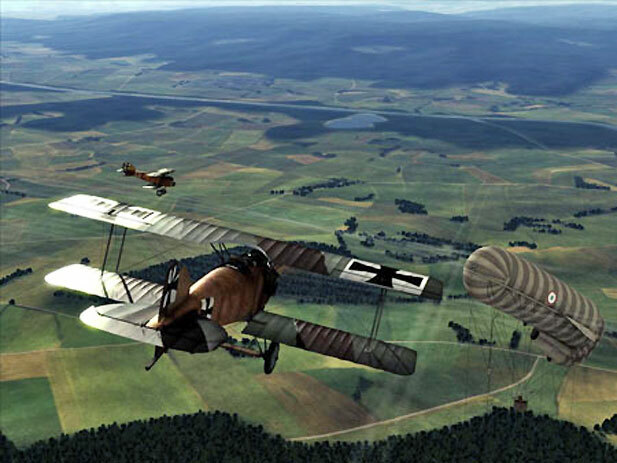 When the war ended in November, 775 D.VII aircraft were in service. The Fokker D.VII was a German World War I fighter aircraft produced at around 3,300 aircraft between summer and autumn of 1918. In service, the D.VII quickly proved itself to be a formidable aircraft. The Armistice ending the war specifically required Germany to surrender all D.VIIs to the Allies at the conclusion of hostilities. Surviving aircraft saw continued widespread service with many other countries in the years after World War I.